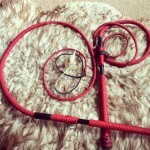 If you are looking for a starter whip just to get you going you here are two two choices in the Uk. Home of poi do the karaka whips in different sizes I like there 5 foot ones myself the longer one I found the handle to short. They are very very durable but have a plastic feel so I would advise getting some tennis racket grip for the handles to help grip and prevent sweaty hands. I have not at this pony tried there fire whips. You then have Fire toys they do a range of pre made whips. Its best if you you can try them first as their weight and quality are mixed. I have heard there their stock whips was good but I have not tried these. Not heard great things about their fire whips. The crackers they sell are really rather good and they have some good whip books and Dvd’s to help get you started. Tony has been making both nylon and leather whips for years. I have two pairs of his whips and they are both really good. He is a one man show so expect to wait a little for your whips but they are worth the wait. He makes a range of whips, I have had snake whips off him in the past, lovely chap and keeps you updated with the whip mkaing process with pictures. So you know whats happening with your whips. He also has off the shelf whips if you want a good whip in a hurry. Is very well known for his quality leather whips. I have tried a few and I have to say they really are rather wonderful. Adam is a new maker and he specialises in making snake whips. He has also offered to be another of my UK whip sponsors really looking forward to trying his whips. Is an established whip maker from the USA for 23 years. He specializes in nylon bullwhips, nylon snakewhips, nylon stockwhips and the Florida Cow Whip. I don’t own any of his whips but I have tried some and they are great. I have also chatted to him on line and he comes across as a true gent. Midwest whips is run by both Lauren Wickline and Paul Nolan. They are a very established whip company. Sadly I don’t have any of their whips but I have tried them and they are amazing. They make all kinds of whips and have done for years. Established US makers of stock whips they are dedicated to providing quality handmade nylon whips. Dakota has been using whips for over 20 years as part of the Don Juan & Miguel Show, and now has branched out and started making whips as well! I have not had a chance to play with one of her whips, but I have seen her crack a whip so I imagine they are fab. 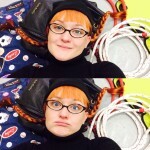 She specializing in lightweight nylon performance bullwhips, perfect for indoor venues or for those who don’t have a lot of space for everyday practice. Prices start at just $100. Sadly I don’t know anything about Greg’s whips but he was recommended to me by a good source so worth checking out. At the forefront of synthetic whipmaking.. Very famous whip cracker and whip maker. I have tried his whips and they are wonderful. He also sells really good DVD’s on his website they will help you a lot when learning whips. Sadly another maker I can’t tell you anything about but I will try and find out more and keep this page updated. All of my whips are built custom with care and attention to detail. I specialize in Tibetan Wave™ and Sonic Alignment™ whips but am not limited to those. HolyOak whips are built using 550 & 650 nylon paracord, which does not mildew or rot. All whips have at least one braided belly as well as traditional bolsters. I never use tape in the construction of my bolsters because every whip is waxed using the submersion technique. Handle bases are made from steel rod or oak, depending on your weight preference. He makes amazing falls and very loud crackers that work really well. David is a new whip maker from the US and is going to be another one of my sponsors he just messaged me today. Blind man whips – He makes all kinds of whips and also making of DVD’s. Have only chatted to him on line but a lovely chap. Friends have his whips and they say they are really good so worth a look. amazing whip maker and cracker from Japan would love to one day see her in real life. She is high on my list of whip makers I want to buy from. I’ve only chatted to this chap on line but I know he has a lot of respect and really knows how to make a whip. he is on my list of people I would like a whip from. Heard wonderful things about this gentleman but I don’t think I have had a go on one of his whips. Karol is based in Poland and makes cow and rue whips. Hi is going to be making my first set of leather whips and I am very excited about this He is also a very good whip cracker himself. Who I have been told makes really lovely leather whips, he also has some really useful whip related information on his website its definitely one to check out.